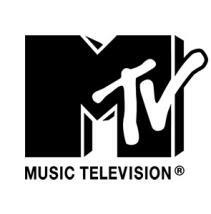 Hi Tampa Bay, anyone interested in being on an MTV reality show? If so, Alex here with some information on a casting call for a reality show called Very Bad Boys. Are you in a rocky relationship with a bad boy? Are you sick of hearing your friends talk poorly about your boyfriend? Have your parents begged you to break it off with your on again off again boyfriend because they just don&apos;t trust him? If you answered yes to any of these questions, MTV wants to hear your story! MTV is looking for anyone who has been in a relationship with a “bad boy”, a guy you know isn’t good for you but you still can’t seem to get enough of him! All couples must be between the ages of 16 and 25 and have been dating for at least three months! If you are interested in this opportunity please send an e-mail to badboys@mtv.com, with a picture of yourself and your “boyfriend”, you location, phone number and a brief paragraph explaining your relationship, why your boyfriend is considered a bad boy and why you are attracted to him. Have a wonderful weekend! Check back with us often for more updates on Tampa Bay Film and things to do in Tampa Bay!